Home > Fundraising Law > Public Liability Insurance: Do I Need It? As a charity collector, you have a series of obligations that must be fulfilled. Although you may not consider yourself a business entity, in many legal areas you will be considered as such. This brings its own risks and responsibilities. When street collecting – and, indeed, when carrying out many other tasks related to your charity – you will inevitably come into contact with the public. Indeed, this is the point of the activity. By doing so, you are putting yourself at risk; if your actions cause harm to someone else, you will be held liable. It is vital that you are protected against this risk, and public liability insurance is an important way of achieving this. If, as a result of your actions, a member of the public is injured or their property is damaged, you are likely to be held liable. Personal injury or accident compensation claims are now rife in the UK, and you can expect to be on the receiving end. Public liability insurance protects you from claims of this sort. A good policy will pay out for personal injury or damage to property, and will also cover your legal fees – which can be cripplingly expensive, particularly as you may be made to cover the other party’s costs. Personal injury claims can easily run to tens of thousands of pounds, so it is vital that you are properly protected. Do I have to get covered? There is not currently a legal requirement for charity collectors to take out public liability insurance. Indeed, the only firms that are currently obliged to get cover are horse riding establishments. 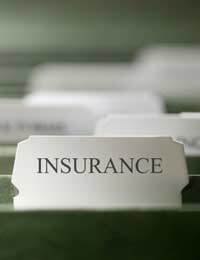 But most businesses and other ventures with a public-facing element still tend to take out public liability cover for the protection and peace of mind that it offers. If you are a freelance collector, or you deal with other businesses, you may also find that clients insist that you have sufficient cover. As such, public liability insurance is also a sound business investment. It is very easy to find public liability insurance for your business. There is now a range of dedicated business comparison services online, but you may also consider contacting insurers directly as you may get a better quote. Public liability insurance need not be expensive, but the cost of your premiums will depend on the size and nature of your organisation. Basically, the bigger the risk posed by your activities, the more expensive your cover will be. It is absolutely vital that you read and understand your policy documents fully, as they will contain a series of exclusions. These exclusions tell you what is and is not covered by the policy, and will outline circumstances in which the insurer will not pay out. You must make sure that you understand the exclusions, and that you abide by them if you wish for your cover to remain valid. It is true that public liability insurance is not a legal necessity. But, as a charity collector interacting with the public, you should seriously consider investing in cover for your own peace of mind and your financial wellbeing. Street Collecting: What Are the Rules? Temporary Event Notices: What Are They & Do I Need One? @Vee. You can get individual public liability insurance, unfortunately we cannot advise on specific companies. I am wondering if there any any issues, legal or otherwise, with a charity stipulating a minimum sponsorship for an event incurring no additional expenses?